I’ve got a few new tabs I need to put up on the tab section, but here is one that can’t wait. 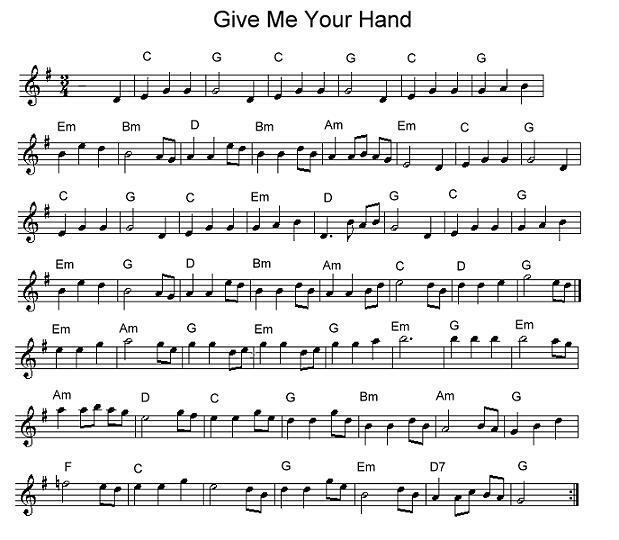 It’s a tab of one of my favorite tunes, “Give Me Your Hand”. I remembered how much I enjoyed this tune after hearing a piper at the Tuesday Night White Horse Session in Black Mountain, NC. I used to play it with a fiddler here in Asheville quite a bit in the fall of 2009. It has slow and up-to-speed recordings of many irish tunes.